When talking about Japanese tattoos, most people seem to be seeking information to help them decide on a tattoo to have done on themselves, on a friend or close one. In this instance, the main focus in fact Japanese symbols, or “kanji”. What is “kanji”? 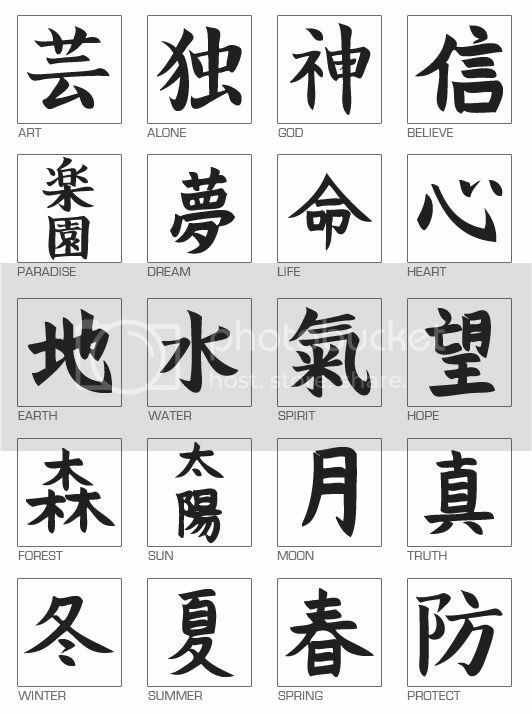 Kanji are the ancient Chinese symbols that appear in the Japanese language. For these people we have devoted a specific category of the website to kanji tattoos. Others may be searching for information on traditional Japanese tattoos. These tattoos are known as “irezumi”. For these seeking information on traditional Japanese tattoos, we have also created a category called “Traditional Tattoos”.